Robert William (Bob) BEHARRELL passed away peacefully on February 19, 2017 with family by his side, at Marjorie Willoughby Snowden Hospice in Kamloops, BC after a lengthy and valiant battle with cancer. He was 78 years of age. 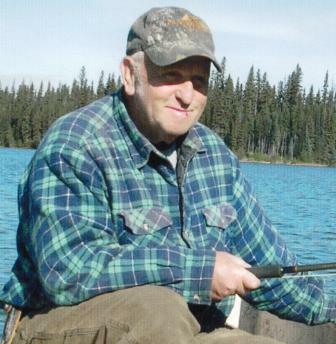 Left to mourn his passing are his wife, Bobbi; his sons Lorne (Mimi) and David (Karym) of Edmonton; Doug of Kamloops: his grandchildren Shane (Steph) Gaboury; Bobbie Michelle (Brandon) Ward: Joel (Alora) Beharrell; Joe and Scott Ripoll; Derrek, Jonathan and Amanda Beharrell; Zac (Nicole) Martin; one niece JoAnn (Patrick) McGurk and Avery; Sydney Beharrell; and his first great-grandchild Lillian Beharrell. Bob was predeceased by his parents Russell and Evelyn Beharrell; his brother Richard Beharrell (October 2016); his nephew Russell Beharrell; and his grandson James Robert Beharrell. Bob was born in Mission City, BC on July 31, 1938, and was raised on his parents’ farm at Matsqui. At age sixteen, he spread his wings and went to work for his uncle on the booms at Lake Cowichan. He took his Heavy-Duty Mechanics course at Nanaimo Vocational School and worked over most of the province on highway construction and for Finning Tractor, then for BC Tel as a fleet mechanic for 23 years. Bob had a tremendous work ethic and the highest standards for whatever he was doing, and he took the time to teach each of his sons to carry on those standards. Wherever we travelled in BC, he would always say of the best roads, “I helped build this highway”. Rest easy, my dear – lots of time for fishing now. So sorry to hear of Bob’s passing, we will miss Bob at our annual gatherings in Salmon Arm. Our condolences to Bobbi and family. For over forty years Bob was part of the fabric of our lives. I loved his shy smile and his humor and his creative brilliance in how he designed and built things. I hope there is a lake full of six pound fighting trout, warm sun and blue skies in heaven..
Bob was on the Board of Trustees at Rayleigh Waterworks when I worked there he was a wonderful kind man and he will be truly missed in our little community. So sorry for your loss, hope he gets lots of fishing time in that big campground in the sky. my condolences to Bobbi and family. Arthur and Bob it was from Grade School on Matsqui flats until Art’s death in 2005 and onward-I was 15 when I first met Bob -he was Best Man at our wedding in 1959-many humble years of gratitude for a friendship/brother relationship we shared with Bob and later with Bobbi and family-he will be so missed , his rascal smile , his laugh, the phone calls each and every Christmas with “Happy Easter Eggs”-So sorry I could not attend- certainly was there in spirit . Thanks for the memories Dear Bob-and condolences to all.